Righteous Cheese, an independent artisanal cheese shop in DC’s Union Market, has created a gift guide to celebrate all types of righteous moms this Mother’s Day. Righteous Cheese thinks all mothers deserve something better, something tastier - something cheesier - than tired gifts of lotion and candles. The Mother’s Day Gift Guide features some of the shop’s most delectable selections, including gift collections and specialty products - specifically chosen for several different types of moms. To encourage giving mom’s all that they deserve this holiday, customers will receive 15% off online purchase of items featured on the gift guide, as well as all Righteous Collections and Gift Baskets, between now and May 3rd. The First Time Mother: Local Cheese and Craft Beer Class - Our May 26th cheese class is the perfect escape for new mothers who need a night out. Local Cheese and Craft Beer will be a decadent night of tasting and learning about some of the best cheeses and beers from the DMV area. The Mother-in-Law: Cheese and Honey - The best combination of savory and sweet is impossible to hate, so it’s perfect for the mother-in-law in your life. Our Cheese and Honey basket will get you on any mother’s good side. The Mother of Your Children: The Picnic Collection - Avoid the brunch crowd on Mother’s Day and give your favorite mom the an outdoor lunch with her family with the Picnic Collection. This basket has everything you need for picture perfect picnic: assorted cheese, fruit, olives, crackers, knife, and board. The Mother of Your Pets: American Cheese Tote - Buying for the non-mom or pet-mom this Mother’s Day? Get her this cute-n-durable cheese tote featuring illustrations of the best American cheeses. She can transport treats for a pet or cheese-y treats for herself. The Busy Mother: Cheese Platter - The cheese platter is perfect for the mom that’s always on the go. 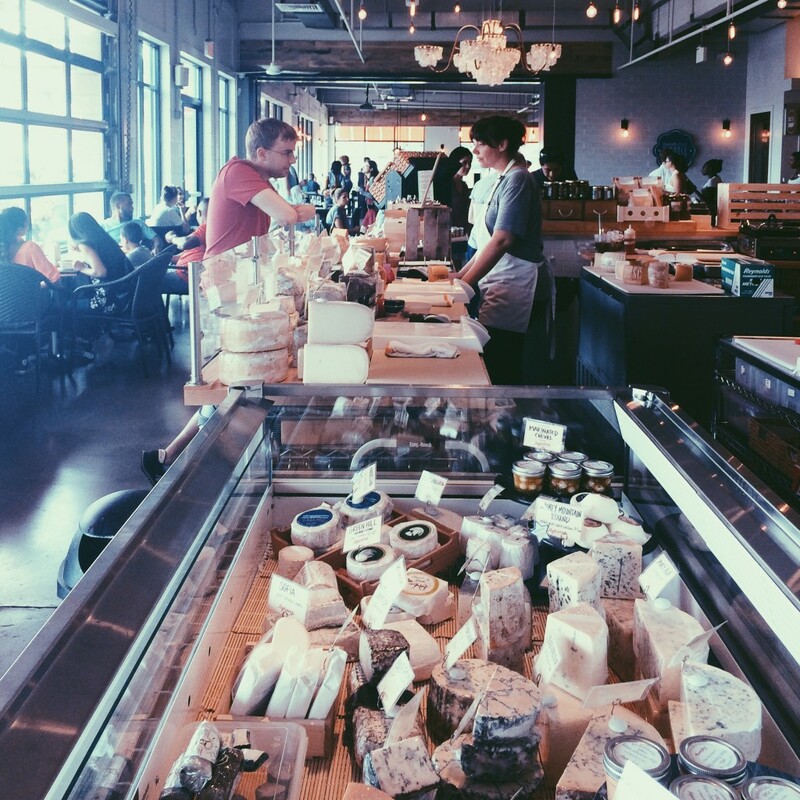 She can feed the kids, host a party, or just treat herself with an assortment of some of the best cheeses we have to offer. Your Own Amazing Mother: Cheese of the Month Club - The best moms deserve a monthly reminder of your love, and the Cheese of the Month Club is the perfect way to do that. Each month, a collection of three cheeses will be shipped right to her door and immediate love will be guaranteed. See the full gift guide here. Additional products and information are available at www.righteouscheese.com/shop/. Righteous Cheese products are available online and in-store. Please contact Brett Maney with any further questions or requests. Righteous Cheese is a small, independent shop offering unique & uncommon artisanal cheeses handmade locally, across the US and throughout Europe. It was founded in 2012 and is located in Union Market.